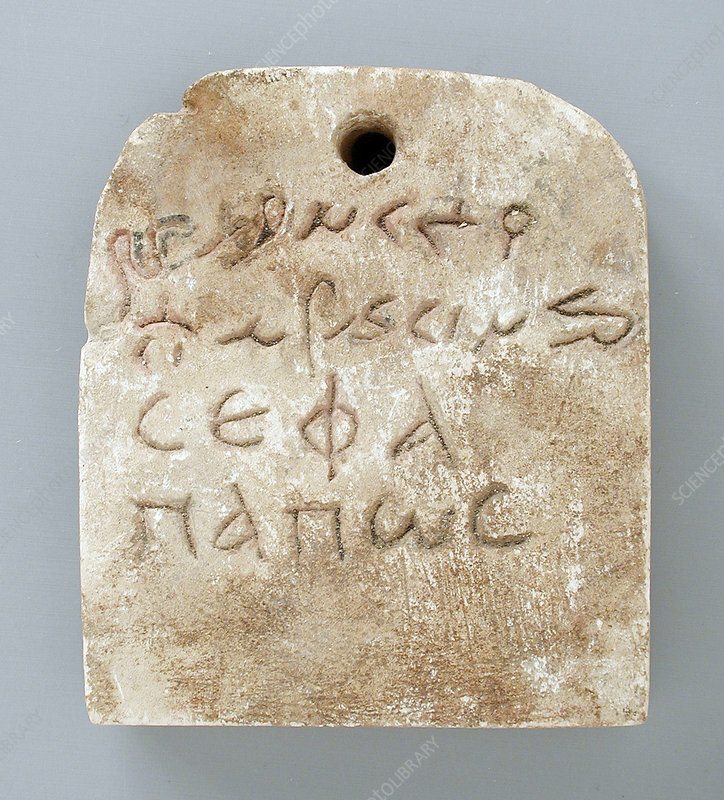 Mummy label with bilingual inscription from Egypt, late Ptolemaic - early Roman Period (100 BC - 100 AD), perhaps reign of Augustus (30 BC - 41 AD). Limestone. The Ptolemaic Kingdom was a Hellenistic kingdom in Egypt ruled by the Ptolemaic dynasty founded by Ptolemy I Soter following the death of Alexander the Great in 323 BC which ended with the death of Cleopatra VII and the Roman conquest in 30 BC. The Romans, like the Ptolemies, respected and protected Egyptian religion and customs, although the cult of the Roman state and of the Emperor was gradually introduced.